The Piper PA-46 Malibu plane went missing on 21 January 2019 while flying above the island of Alderney in the English Channel. In the minutes prior to the disaster, the freshly signed Cardiff forward reportedly sent his friends troubling messages about the plane's condition. 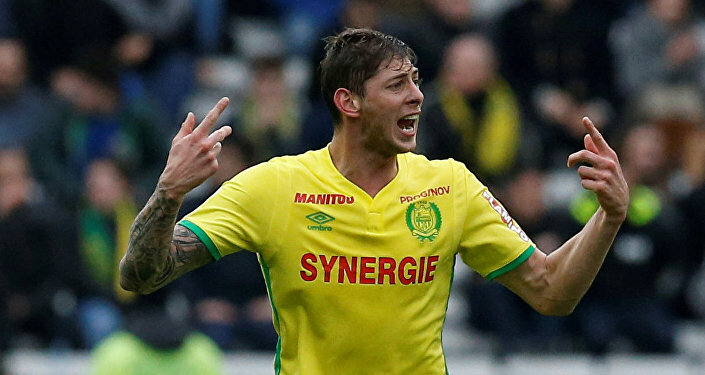 One aviation expert, cited by The Sun, believes that the missing Piper PA-46 Malibu plane, which was carrying football player Emiliano Sala, might have gone down due to ice on its wings. The expert said that the "shaking and breaking up" of the plane that Sala reportedly described in WhatsApp messages to his friends, which were reported on by the Argentine media outlet Olé, are "classic signs" of icing. The aviation expert also noted that the icing could have led to a stall of the aircraft, prompting it to gradually lose altitude and possibly send it into a spin. The expert added, however, that the plane could still have crashed into the water intact, noting that otherwise debris would already have been found. The single piston engine aircraft went missing on 21 January 2019 after last reporting to air traffic control while flying over the English Channel. The plane's pilot requested permission to descend from 1,500m to 700m shortly before disappearing from radars. Debris of the aircraft has still not been found. Footballer Emiliano Sala was on board the plane flying to from Nantes Airport, France, to Cardiff, the UK soon after being signed for Cardiff City FC for £15 million ($19.5 million) — a record high for the Welsh football club.